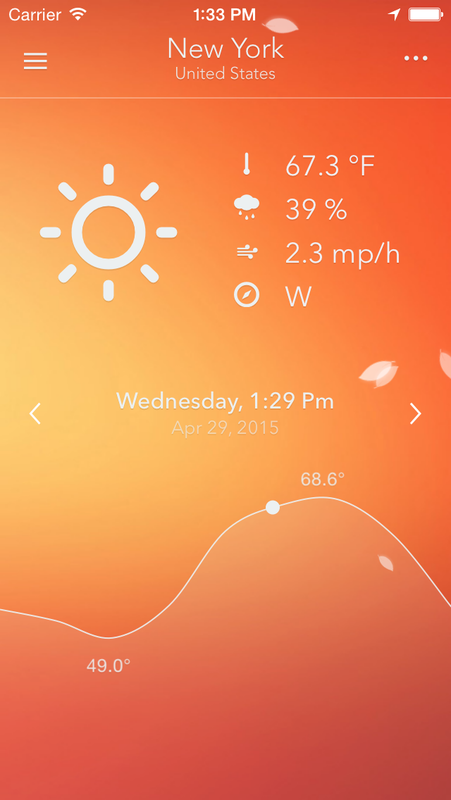 Nice Weather was designed with simplicity in mind and aim to provide a clean and simple user experience. Clean. Without clutter. Carefully thought to the last pixel. 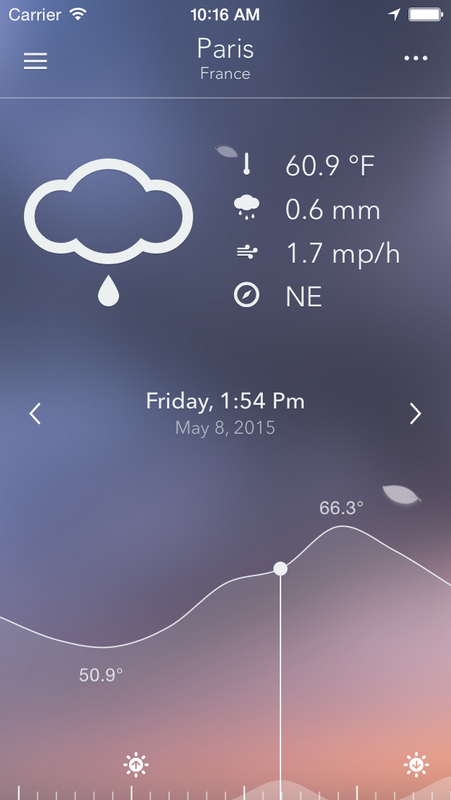 Nice Weather 2 will quickly become your go-to weather App! Have a feel for the day in a blink of an eye. 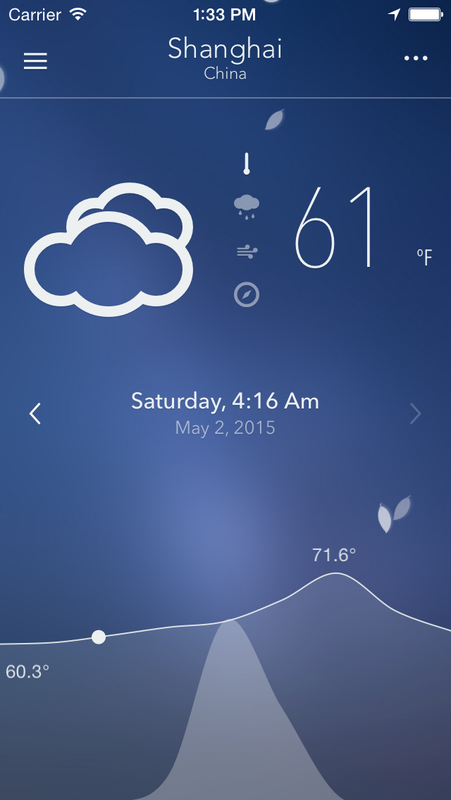 Get a specific hour forecast by just sliding your finger on the bottom graph, it's that easy ! 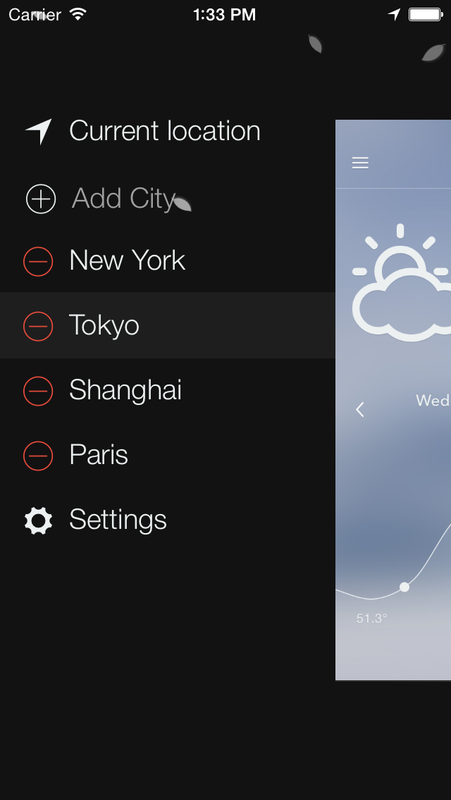 Add cities forecast in no time. Customize the display with ease. You can even use those silly imperial units if that's what you're into!